In this section you can find out about the curriculum at our school. We are committed to helping each child learn in a happy, safe and stimulating environment. By the end of their time at Stratford-sub-Castle Primary School, we want each child to be ‘launched’ into the ‘Big Wide World’ as a confident and inspired learner. We believe that each child has a natural curiosity and enthusiasm for learning. We aim to ‘fuel’ and sustain each child’s learning journey. that school should be supportive and safe – an environment where “put-downs” from staff and peers are not accepted. Please go to the Policies section of the website for more information. adapted to the interests of our pupils and responsive to their enthusiasms and interests. 3.4 The Secretary of State for Education is required to publish programmes of study for each national curriculum subject, setting out the ‘matters, skills and processes’ to be taught at each key stage. Schools are free to choose how they organise their school day, as long as the content of the national curriculum programmes of study is taught to all pupils. N.B. We focus on French as a foreign language, however we introduce vocabulary from other languages where appropriate. See the Policies website for relevant policies about the curriculum. Click here for further national curriculum information from the Department of Education. The curriculum is all the planned activities that we organise in order to promote learning, personal growth and development. It includes not only the formal requirements of the National Curriculum, but also the range of extra-curricular activities that the school organises in order to enrich the experiences of our children. It also includes the “hidden curriculum”, or what the children learn from the way they are treated, treat each other and expected to behave. We teach children how to grow into positive, responsible people, who can work and co-operate with others while developing the knowledge and skills to achieve their true potential. The curriculum is underpinned by the values that we hold at our school. These include Christian values and British values. The curriculum is the means by which the school achieves its objective of educating children in the knowledge, skills and understanding that they need in order to lead fulfilling lives both now and in the future. Each term the learning for each class is woven together into a topic. The teacher takes account of the requirements of the national curriculum, the needs and interests of the children in her class and topical events. The learning in each subject is linked as much as possible. However, discrete subjects maybe taught as necessary. Topics in the past have included, ‘Doctor Who’, ‘Food for Thought’, ‘Around the World’, ‘Aliens in Underpants’, ‘The Legacy of Leonardo da Vinci’ and ‘The Olympics’. Children are assessed against the end-of-year expectations, for their year group, throughout the year. The EYFS curriculum is taught through a topic approach responding to the pupils; needs and intersts. 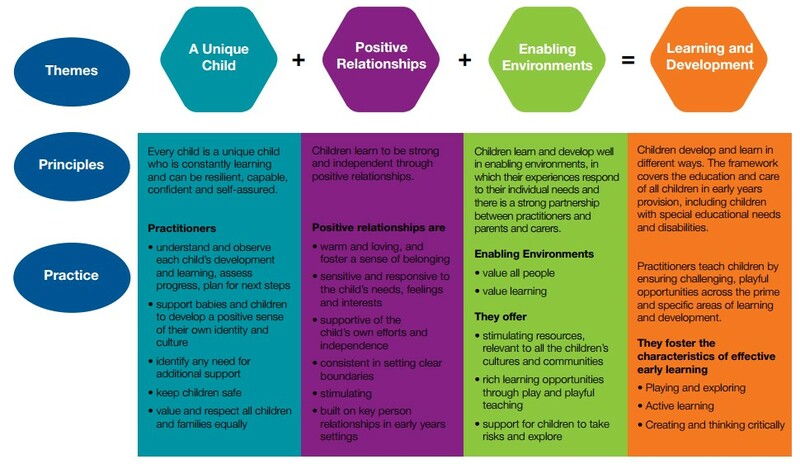 The EYFS follows the ‘Early years (under 5) foundation stage framework’. At our school we also use the guidance from the ‘Development Matters in the Early Years Foundation Stage’ to help support teaching and learning.